The Xbox One now has the ability to play several of your old Xbox 360 games thanks to the Backwards Compatibility program. Here are nine of our favorite games you can play on the Xbox One using Backwards Compatibility right now! Viva Piñata is one of those games that you will laugh at someone for playing, and then secretly spend the following two weeks of your life glued to your screen in an attempt to unlock every single piñata variant. 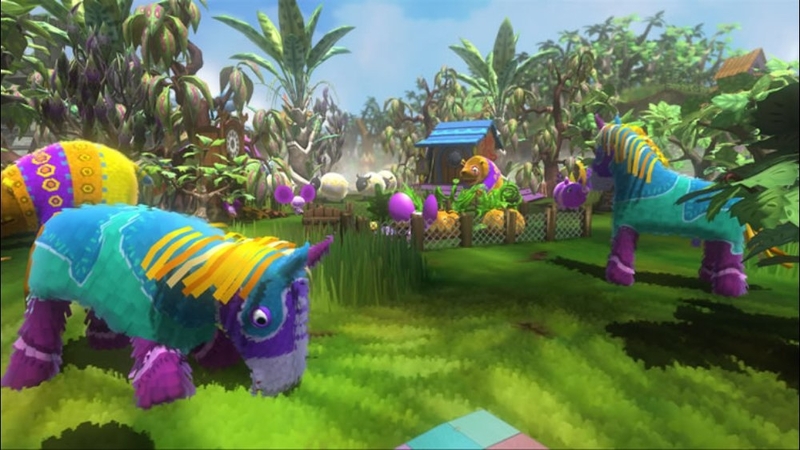 Viva Piñata was one of the last games Rare made before they were dragged under and forced to create Kinect games for Microsoft’s pleasure. The game was set in a fictional world populated with piñata creatures and your job was to lure them to your garden by tending it, planting trees and fruit, creating kennels and hutches, and generally keeping the piñatas happy. The complexity of the title revealed itself when you realized that to lure in a Roario, a lion-type piñata, you needed be Level 38, have 5 Deer, 5 bugs, and have a garden valued at over 40,000 credits. That was just for it to visit your garden. If you wanted it to become a resident you needed to do even more. With Viva Piñata’s inclusion into the Backwards Compatible program on Xbox One, we’re looking forward to starting the grind all over again. Condemned: Criminal Origins is a first-person investigative horror game that launched alongside the Xbox 360. The harrowing experience led gamers into underground caverns, sewers, subway stations, and burned-out libraries brimming with maniacs looking to club you to death. 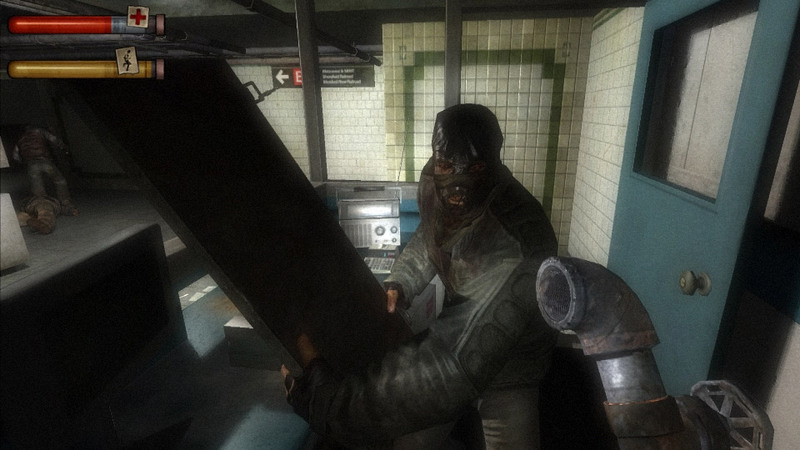 The appeal of Condemned: Criminal Origins wasn’t entirely due to the atmosphere, which was layered with horrifying and creepy moments, but was due to the combat. While you could use firearms, they rarely had more than a few bullets or shells in them, meaning you would spend most of your time wielding a 2x4. This offered a visceral experience as confrontations required you to get up close and personal to the freak that just scared you. Hitting someone with a lead pipe was immediately gratifying. Blood would spray out as the pipe lashed across someone’s face, leaving them staggering across the floor, only to seize up as you hit them with your taser. The combat was visceral and meaty and everything we wanted in a first-person horror game. With few FPS action-oriented horror games releasing these days, it’s pleasant to revisit one from our past that let us get terrified by a jump scare and then beat it to death with a hammer. Do yourself a favor and download Condemned: Criminal Origins through the Backwards Compatibility program on the Xbox One. Being a cowboy in the Wild West is a dream many gamers were able to live out in Red Dead Redemption. Players took the reins of John Marston in a time where the Wild West was undergoing a change as railroads, electricity, and the government was starting to change the frontier. 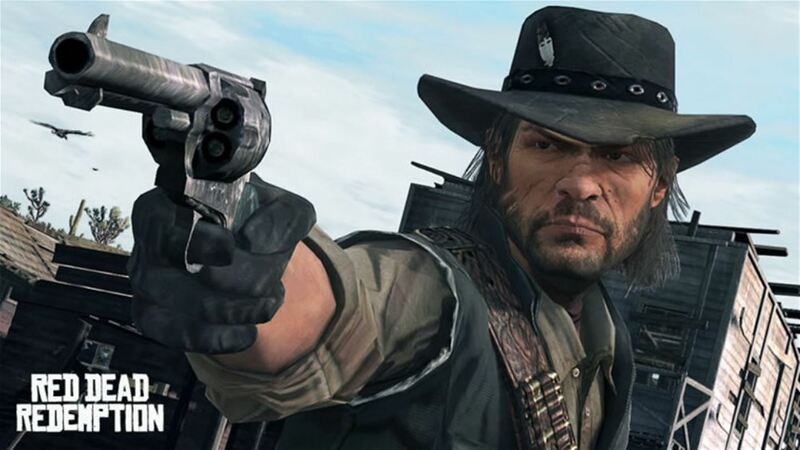 The story followed Marston as he was tasked with hunting down members of a gang he used to ride with. Players were able to live out their fantasies by doing all things cowboy. Want to spend time hunting down outlaws, lasso them, and drag them back to jail? You can do it. Maybe spending your time hunting wild buffalo is more your style, well you could do that too. We’re once again able to relive our favorite Red Dead Redemption moments on the Xbox One, which should tide us over while we wait for Rockstar to announce a sequel. Perfect Dark, the first one, not Perfect Dark Zero, is one of those classic games from your childhood that you remember so fondly. Perfect Dark took what Goldeneye did and pushed the envelope even further. Instead of a down-to-earth espionage story, Perfect Dark introduced aliens, exciting new tech, and a story full of twists and turns. Initially released in 2000 for the Nintendo 64, Perfect Dark was brought back to life a decade later thanks to Xbox Live Arcade and again with the Rare Replay collection. Perfect Dark on the Xbox improves greatly upon the original as you can now move and aim using two different thumbsticks. I still don’t know how we managed to play FPS’s with a single stick. What sets Perfect Dark aside from typical shooters is its use of tasks within a mission. Shooters these days involve fighting through enemies to reach a checkpoint, then do it again until you reach the end of the mission. Nothing is asked of the player except that they survive the encounter and move to the next location. 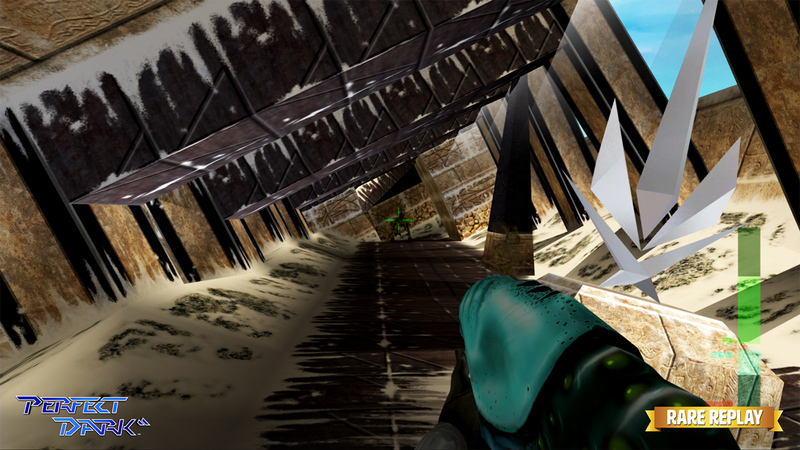 Perfect Dark asks the player to perform actions at each point, be it fly a remote-controlled drone to snap pictures, disable cameras around a building, stash weapons, or steal an artefact. The missions in Perfect Dark wanted you to do more than just run and gun. Despite being over a decade old, Perfect Dark is still a must-play title in Xbox One’s Backwards Compatibility program. Much like Perfect Dark, Banjo-Kazooie found its way into our hearts through the Nintendo 64 in 1998 then again ten years later on board the Xbox Live Arcade platform. 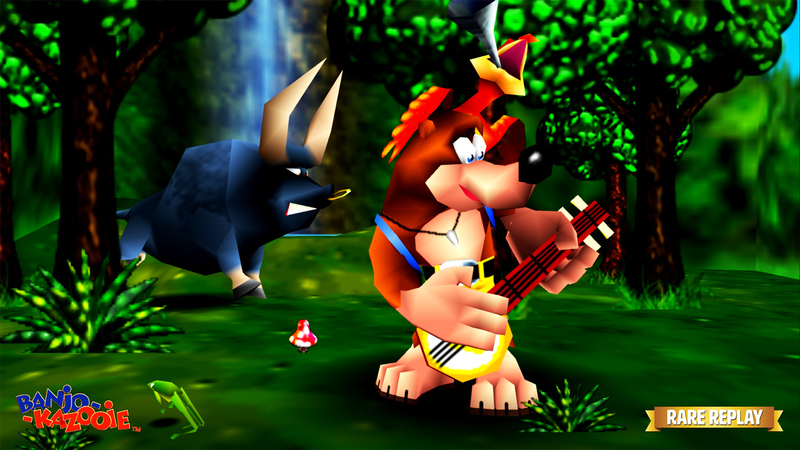 Banjo-Kazooie was Rare’s answer to the fame of Mario while adding their artistic style and unique storytelling. Banjo-Kazooie holds a special place in our hearts, and thanks to the Backwards Compatibility of the Xbox One, we’re able to keep playing this series. Once you finish the first Banjo-Kazooie, start playing the sequel because it’s also part of the program! 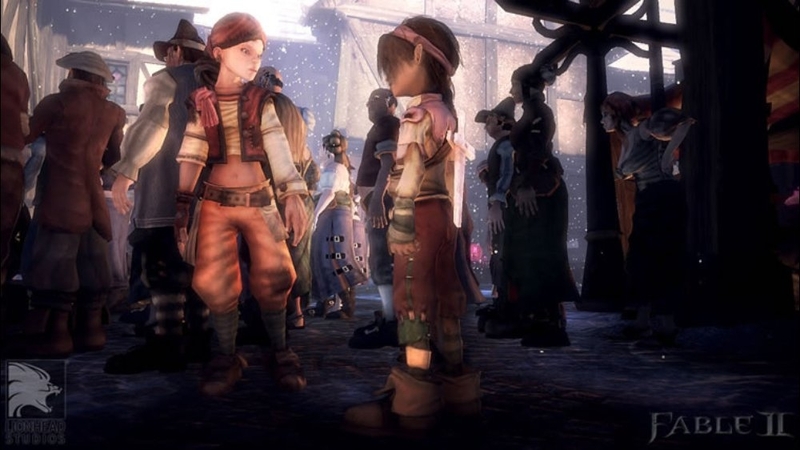 Fable 2 was the perfect sequel to one of the best fantasy adventure games of all time. It took what the first Fable had created and added so many new features that it could be considered the one time in history where Peter Molyneux’s hyperbole was accurate. For those not in the know, Fable 2 is an RPG set in the fantasy world of Albion 500 years after the first game. You play as The Hero, beginning in their childhood, shifting through their teenage years and ending as an adult. The gameplay uses both sword and sorcery, along with a firearm. Although the combat is simple to use, a relatively deep experience can be created by using the three combat styles in unison. With the recent closure of Lionhead Studios and the realisation that we may not get another Fable game, now is an ideal time to revisit a classic. Geometry Wars: Retro Evolved is one of those games that doesn’t look like you could spend six straight hours playing, but within ten minutes of the game we were immediately hooked. 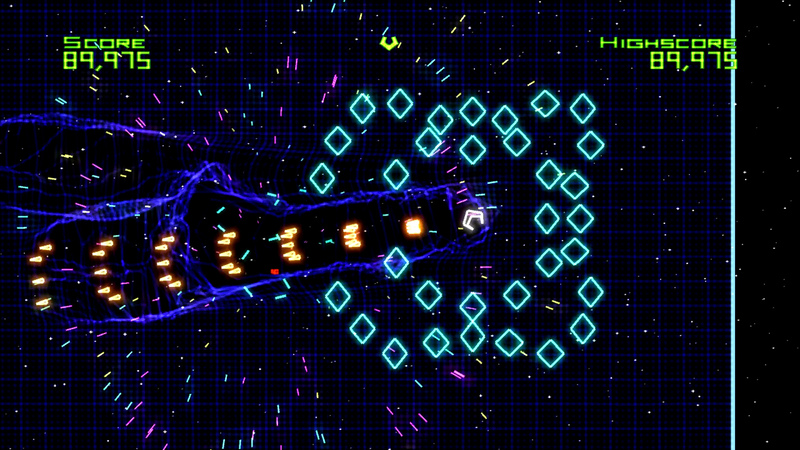 Geometry Wars: Retro Evolved is a top-down twin-stick shooter where the goal is to survive as long as possible in a confined space as thousands of polygons chase you down. Get touched by a polygon and you die. Dying means you lose a life and losing too many lives means game over. With a thumping soundtrack, easy controls, and the ability to come back from a seemingly poor start, Geometry Wars: Retro Evolved was the game we didn’t know we needed in our life. I still remember working toward, and finally claiming, the Survived 1,000,000 Achievement where you had to reach a million points without dying once. Do yourself a favour and pick this game up on the Xbox One. 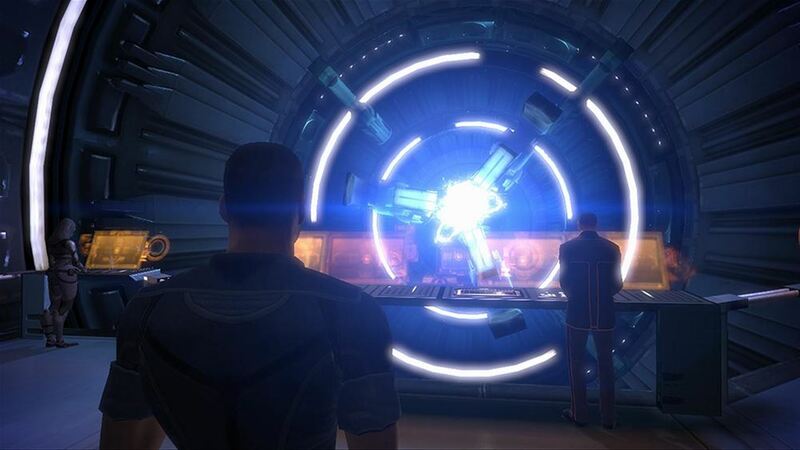 Mass Effect is one of those series that changes a life forever. From the makers of the critically acclaimed Knights of the Old Republic, came Mass Effect a sci-fi, third-person shooter, RPG that took the player through an entire galaxy’s worth of experiences. Mass Effect proved to the world that we were ready for another in-depth game full of alien races, alien worlds, pages of encyclopaedic knowledge, and a deep conversation feature. Mass Effect has not aged especially well in terms of some features, but that should not stop newcomers to the series. Where some of the mechanics feel clunky, the storytelling distracts with its rich lore and complex relationships. Grab Mass Effect and experience the first entry in the series before Mass Effect: Andromeda hits our systems! For many players, Halo Reach represents a pinnacle in their Halo careers. It was Bungie’s last foray through the world of Halo, a series gamers had fallen in love with since the very first day they hooked up their Xbox consoles. It was a bittersweet finale to a series, ending the 10 years of Halo with a narrative set prior to the events of Halo 1. Even before gamers started, they knew how it was going to end. 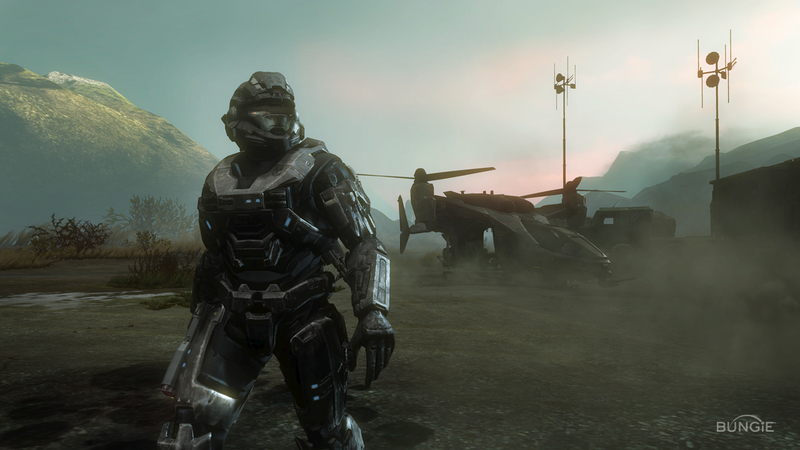 Halo Reach’s multiplayer combat introduced new mechanics that weren’t immediately well-received by the community. Weapon bloom was included as a means of rewarding a skilled hand. At first, this appeared to be going against the grain of what made Halo so special, not having to worry about pacing your shots. But gamers quickly adapted and even tout Halo Reach as one of the best Halo experiences in the series. Find Halo Reach on the Xbox One Backwards Compatibility page and get to fighting the Covenant. What game do you think is missing from our list of best Backwards Compatible games for Xbox One?